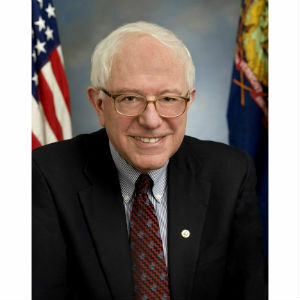 Senator Bernie Sanders describes his campaign for president as a “political revolution.” His appeal comes from his unpolished outsider status, the challenge he presents to the political establishment, and his critique of an economy rigged in favor of well-connected corporate interests. Senator Sanders has in some instances admirably opposed corporate welfare. For example, for years he has stood against the Export-Import Bank, which redistributes wealth to politically connected corporations like Boeing, while other Democrats steadfastly defended it. But for all his talk of revolution, Bernie Sanders is part of the very system he criticizes. He is a politician, and like all politicians he faces strong incentives to subsidize politically connected businesses at the expense of the people. All politicians, even avowed socialist Bernie Sanders, respond to these incentives. As Tim Mark recently pointed out in The Daily Beast, Sanders has supported federal funds for defense contractors, who profit off America’s aggressive wars and bloated military budget. This includes the F-35 fighter jet, a $1.2 trillion boondoggle of a project that seems useless at defending anything other than Lockheed Martin’s profit margins. But the project supports jobs in Senator Sanders’s district, creating strong incentives for him to support it. But while Senator Sanders understands in principle how corporate interests profit off a bloated defense budget, in practice he has been complicit in this process. Backing the F-35 project and regularly voting for defense spending bills is an understandable response to political incentives, but it perpetuates the corporate rule and unjust inequality that Sanders decries. Given Sanders’s complicity in subsidizing corporations and backing a bloated military industrial complex, it seems unlikely that electing him will bring about a “political revolution.” What we should realize is that no election can bring about that revolution. Politicians are people, not benevolent despots, and that means they will respond to incentives in ways that advance their careers and interests. Supporters of Senator Sanders doubtless understand the pervasiveness of self-interest in the private sector, and they should recognize that it permeates the public sector as well. Politicians, even those who decry inequality and proclaim themselves socialists, will respond to the incentives they’re given. That means voting for projects that support jobs in your district even if those projects ultimately enrich corporate elites at the expense of the rest of us. It means voting for omnibus bills deemed essential, even when those bills are riddled with special privileges for multinational corporations. We can’t change this by simply electing “the right people,” whatever that means to us. To really challenge the graft, waste, privilege, and corporate cronyism that permeates our political system, we need to change the incentives that incline politicians to betray their stated principles and businesses to seek political favors. Elections change the players within the political game. But if the game is riddled with perverse incentives and the rules encourage allocating wealth to politically connected corporations rather than to those who create value, then it’s the game and its rules that need to change. Bernie Sanders correctly identifies many of the problems with our political and economic system. But his solution is to elect a different player and have that player push for reforms. We don’t need to change the players, we need to change the game.